Will rats drink from birdbaths or fountains? Rats are cautious creatures, so they may not approach the fountain initially, but that is not likely to keep them from the water for long, particularly if there is no other readily available source. 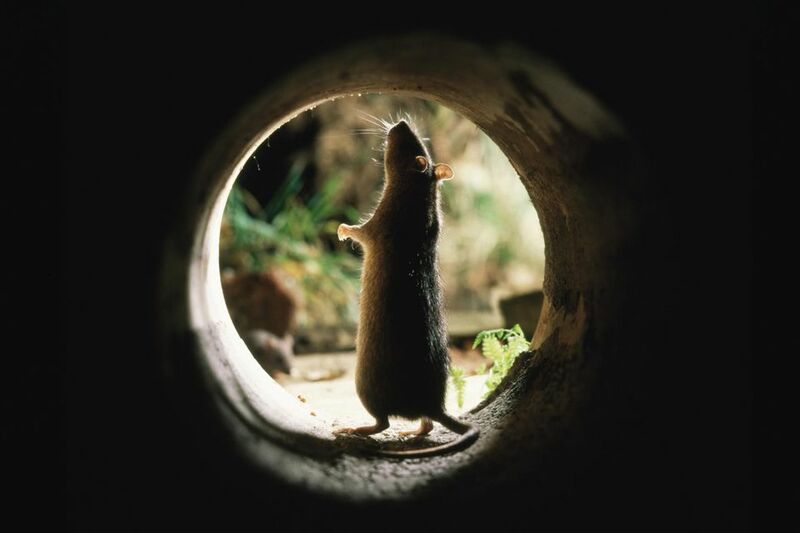 Rats live in underground sewers, which have both still and running waters. Thus, having a fountain in the water is not likely to keep rats away, but, on the other hand, it is not likely to attract them any more than does the water itself. The fact that birds are drinking at the fountain also is fairly insignificant for rodents. This is because the birds will be at the fountain during the day, but rats are nocturnal, so they would be venturing into the water at night. Some pet rats have been known to enjoy playing in the water. Rats can swim. They will swim through sewers lines against currents and can tread water for three days, so fountains are unlikely to be an issue. They drier the weather, the fewer sources of water there will be available, so the more likely it is that the rats will be attracted to the bird fountain, as well as the water in swimming pools and outdoor pet water bowls. Rats also can gnaw through many materials, including wood, paper, lead sheeting, cinderblock, aluminum siding, glass and even concrete that was not properly cured. Rats primarily prefer to feed on cereal grains, meats, fish, nuts, and some fruits, but they will eat just about anything – including herbs. However, having an herb garden in your yard is not likely to be a significant attraction for rats. However, rats – as well as mice and many insect pests – are attracted to foods – including pet food – and trash that is left unattended outdoors. Thus, the best control of any rodent, outdoors or indoors, is sanitation and exclusion. In most cases, rats will only enter homes because it is seeking food, water, or shelter. Sanitation. To reduce the availability of food and water, employ sanitation methods: covering or packaging all foods; keeping all food and food-preparation areas swept, mopped, and wiped clean; keeping trash areas clean, and removing or limiting exposed water. Exclusion. To reduce the opportunity for rats that are seeking shelter to enter your home, build out the rodents through rodent-proofing and pest-proofing techniques. For this reason, the reader's explanation that they have done everything possible to shore up the house – filling every hole, and putting rat traps and rat boxes outside to deter rats from coming into the garden and the home – is the exact right approach to keep rats and other pests from the home. And having a regular professional pest management service monitor and empty traps, as the reader does, will also help to deter rodents from the property and from entering the home.